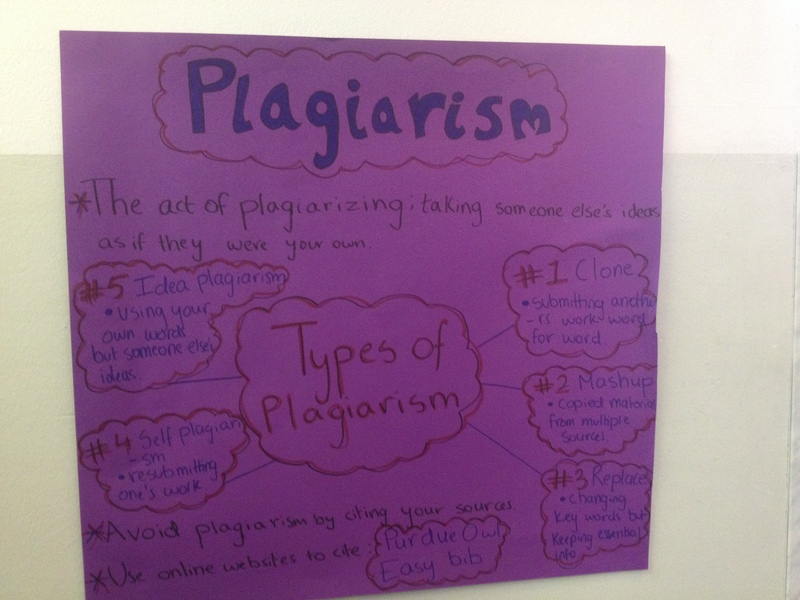 The first step in creating an environment that discourages plagiarism is educating students about plagiarism itself. To do this, I begin with a simple project. 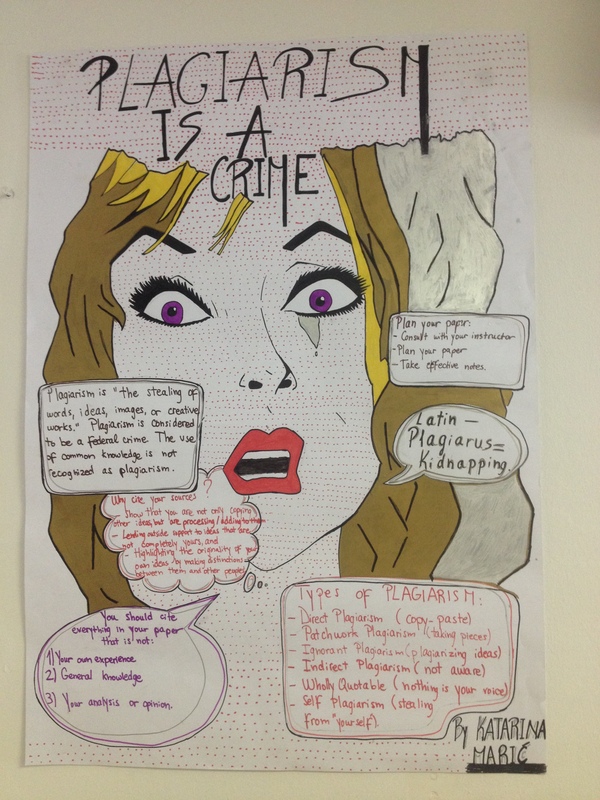 Create an awareness project to share with other students about why plagiarism is so bad. Of course, you could stand in front of the class and lecture your students about the evils of plagiarism and the horrors that await them if they are caught, but, in my experience, that does no one any good. Instead, get them to look at the issue themselves before going forward. Below are two examples of initial projects students complete for me this past year. First, students created posters to hang in all the common computer labs. Second, a group of my juniors and seniors made a brief educational video to place on our website. Both of these projects helped both the students making them and the larger school community begin thinking about plagiarism. They projects provide a starting point as I focus on my larger goal of plagiarism education. Posted on January 26, 2015 by johnbryanthompson	• This entry was posted in Step by Step and tagged Plagiarism Awareness, Projects, Visual Aids. Bookmark the permalink.